Submitting a guest request for your company is easy. Watch the video, or follow the steps written below. 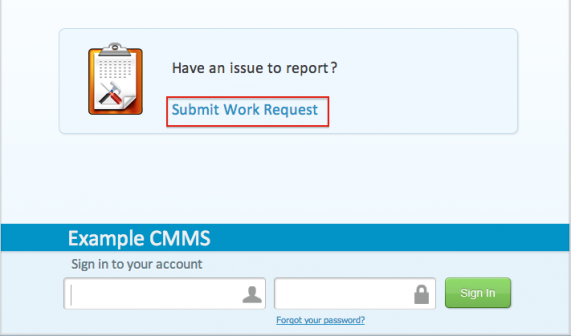 To submit a guest request, simply click on the “Submit Work Request Button” from the maintenance homepage. You will be presented a form to fill in. It will look like one of the forms below. Fill it in to the best of your ability. Don’t worry if you don’t know something, you should just leave it blank. 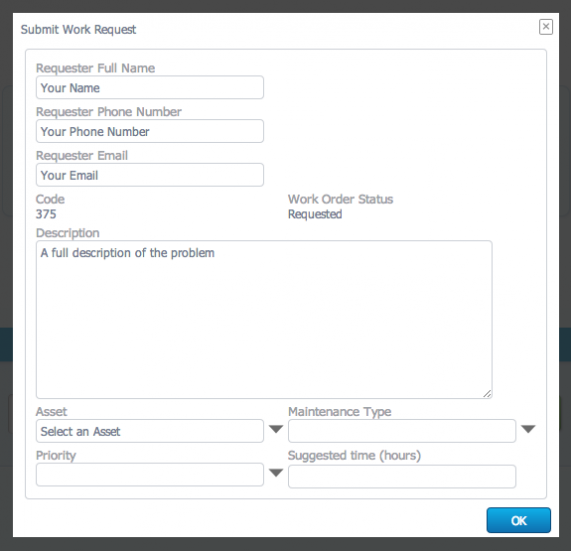 The maintenance planner can fill in any missing information. Important : Try and give a good description of the problem and its location. 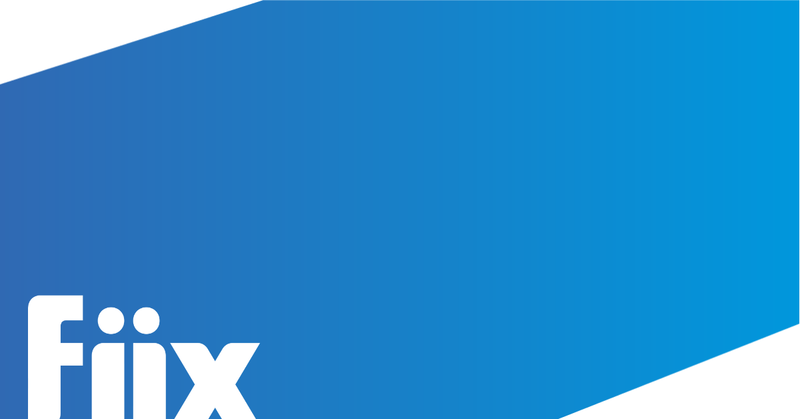 Some companies will need your contact details, other companies will not. Some companies may also require you to fill in the asset. 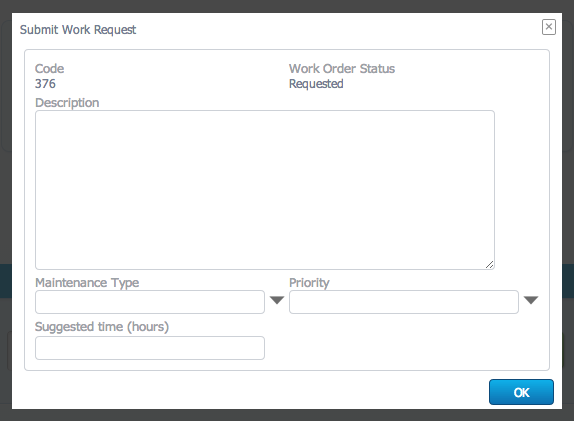 If it is required, try to find it using the drop down menu. If you can’t find it, choose the location where your problem is located.